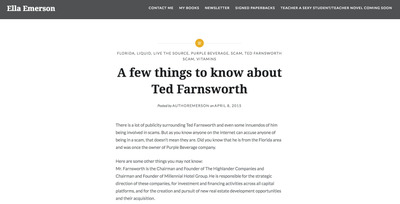 Farnsworth, who has registered 50 different companies in Florida over the past 30 years (according to the Miami Herald), has been under fire from unhappy investors this week as his company has suffered cash-flow issues and a cratering share price. A few have called him a “scam artist” or worse on Twitter. 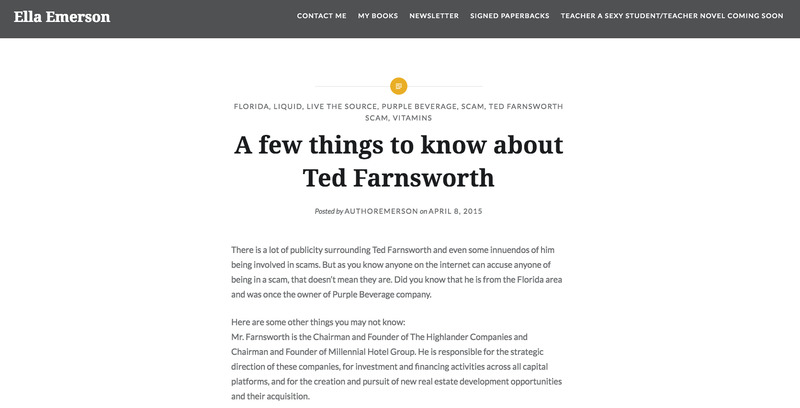 Several obscure internet bloggers really want you to know that Ted Farnsworth, the CEO of MoviePass’ parent company, Helios and Matheson Analytics (HMNY), is not a scam artist. Farnsworth has been under fire the last week from HMNY investors upset at the 1-for-250 reverse stock split the company enacted, and the subsequent cratering of the share price back under $US1. (Browse $HMNY for the most recent examples of negative sentiment, including calls for the Securities and Exchange Commission to investigate the company.) On Thursday morning, HMNY stock was trading at around $US0.14, mere cents away from its pre-reverse-split share price. 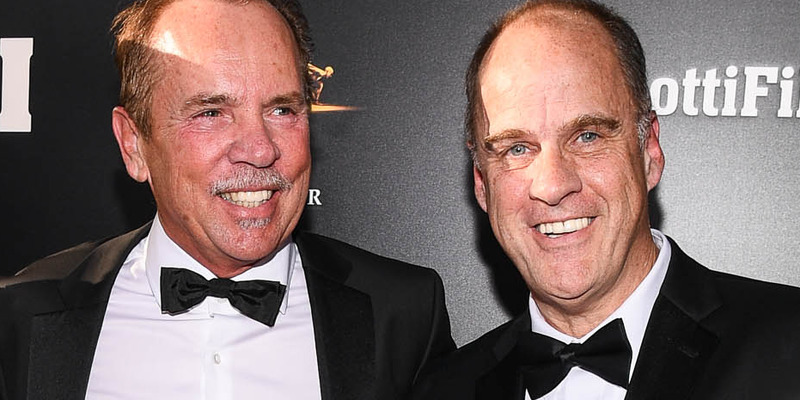 MoviePass has had to take drastic measures to get its cash burn, which reached $US45 million monthly, under control. The service experienced an outage late last week that the company disclosed was because it didn’t pay some of its merchant and fulfillment processors. The current financial situation for MoviePass and HMNY has more than one person accusing Farnsworth of being a “scam artist” on Twitter. 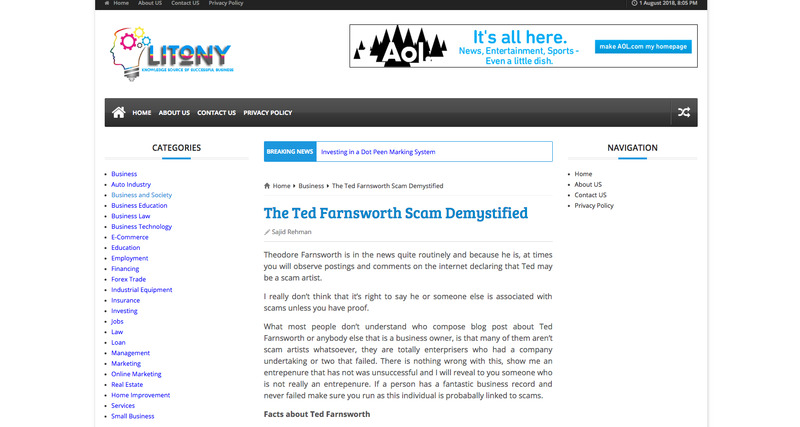 But there are several bloggers, with posts dating back to 2015, who want you to know that Farnsworth is, in fact, not a scam artist. While there are variations in the copy, they all paint Farnsworth’s various business ventures and philanthropic efforts in an extremely positive light. Other writers at more established outlets have not been as generous. But the four blog posts are strange not only because of their positive tone and subject matter, but because they all contain a few of the exact same phrases. So where could these blog posts have come from? None of the bloggers returned requests for comment from Business Insider. However, after emailing the address provided for Sajid Rehman, Business Insider got a reply from someone named Umair Idrees, whose email listed his company as “Alpolink,” the same company mentioned on Rehman’s author page. Idrees did not provide any information on the origin of the blog post about Farnsworth. 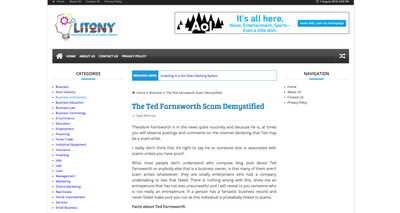 A representative for Farnsworth and HMNY did not respond to a request for comment.